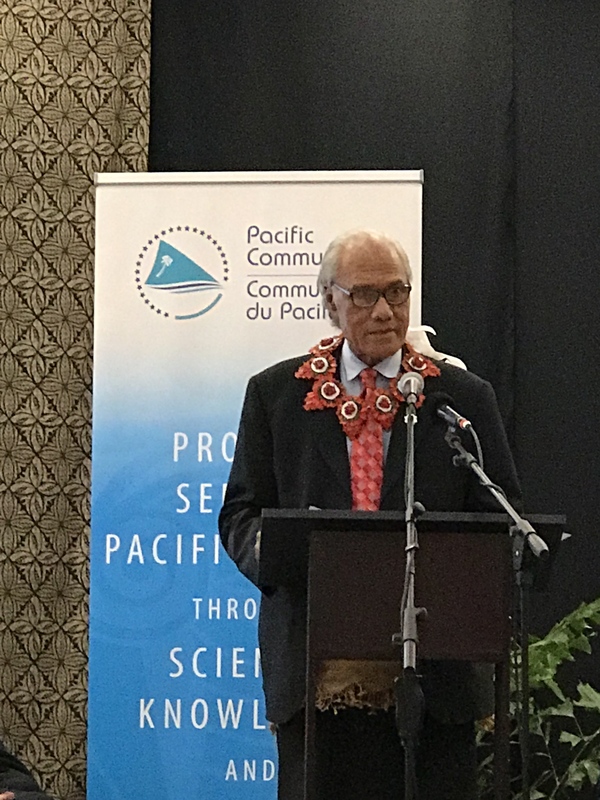 Today on Vuna Wharf in the Tongan capital of Nukuʻalofa, the Honourable Prime Minister of Tonga Samiuela ‘Akilisi Pohiva officially commissioned a new Pacific Sea Level and Geodetic Monitoring station, which will provide high quality sea level, climate, and positioning information to support better coastal planning and preparedness. 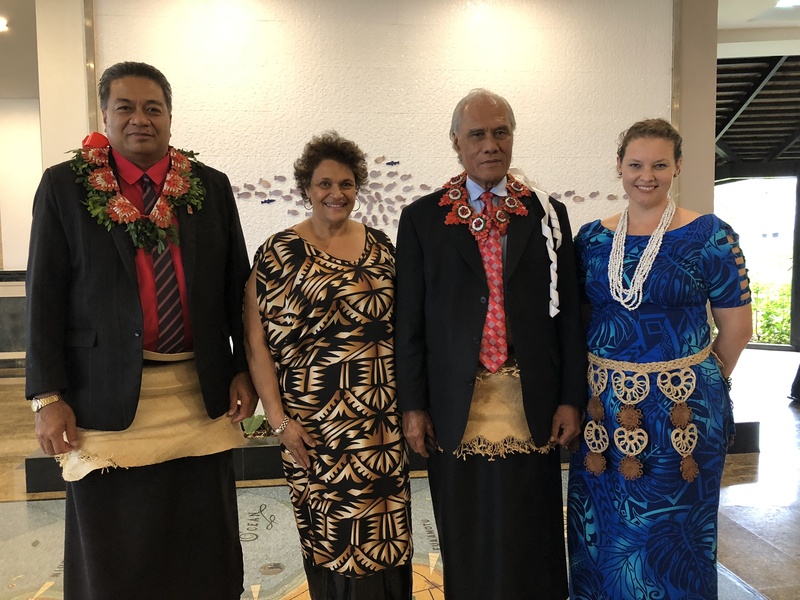 The new station was financed by the Australian Government under the Climate and Ocean Support Program in the Pacific, and its installation was managed by the Australian Bureau of Meteorology and the Pacific Community (SPC). 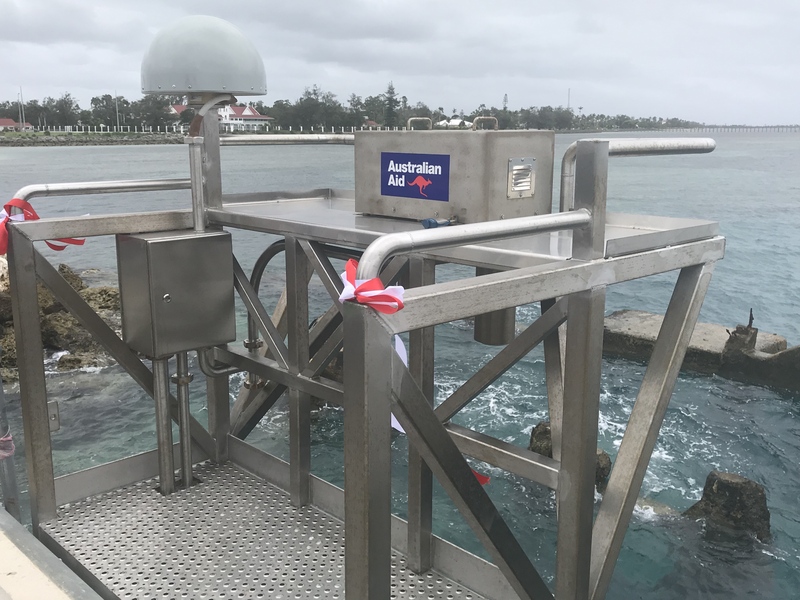 It is one of 14 such stations in the Pacific Sea Level Monitoring network and replaces the existing project station installed on Queen Salote Wharf in 1993. Installed in June of this year, this station is the newest and most technologically advanced in the network. 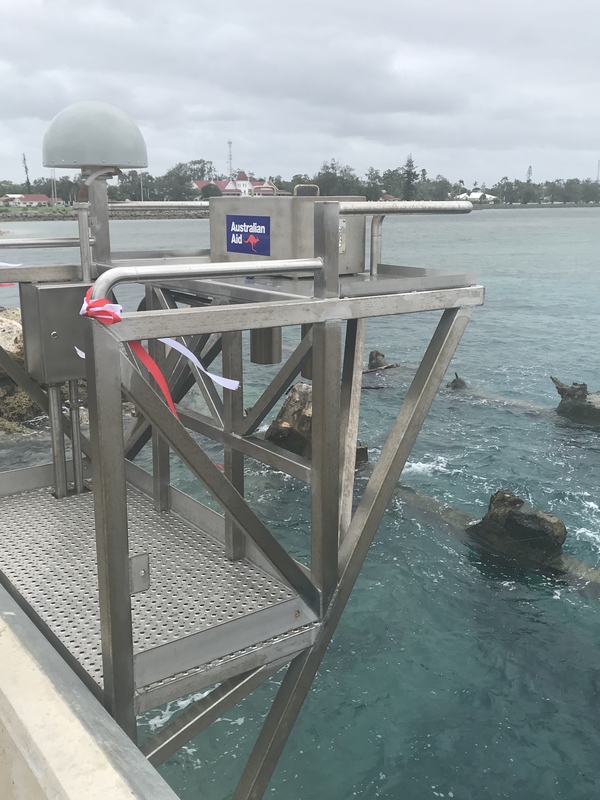 It features the traditional acoustic sensor used to monitor sea level around the world, as well as two radar sensors and a pressure sensor to simultaneously measure changes in water level. 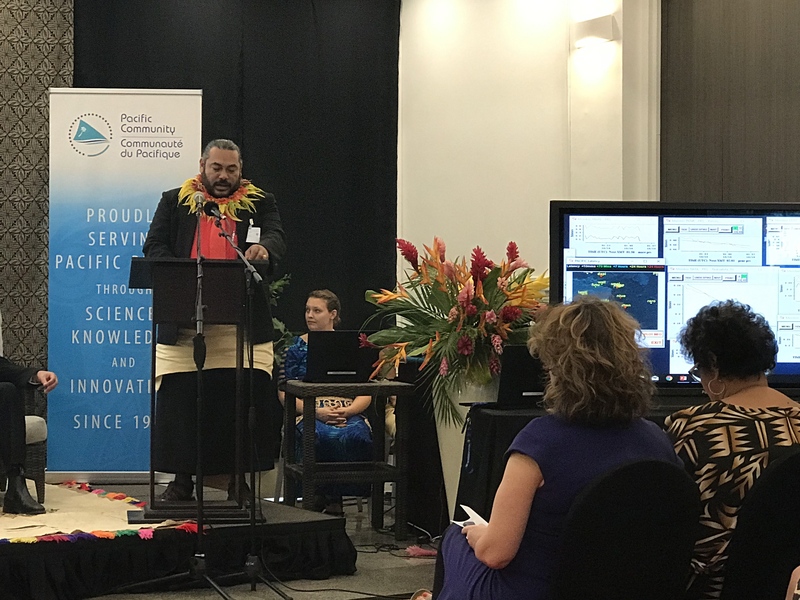 It includes an in-built Automatic Weather Station, measuring barometric pressure, air temperature, wind speed and direction and water temperature and sends the data every minute via satellite communications so it can be viewed in real time online and via direct link to the Fua’amotu Weather Forecasting Center. 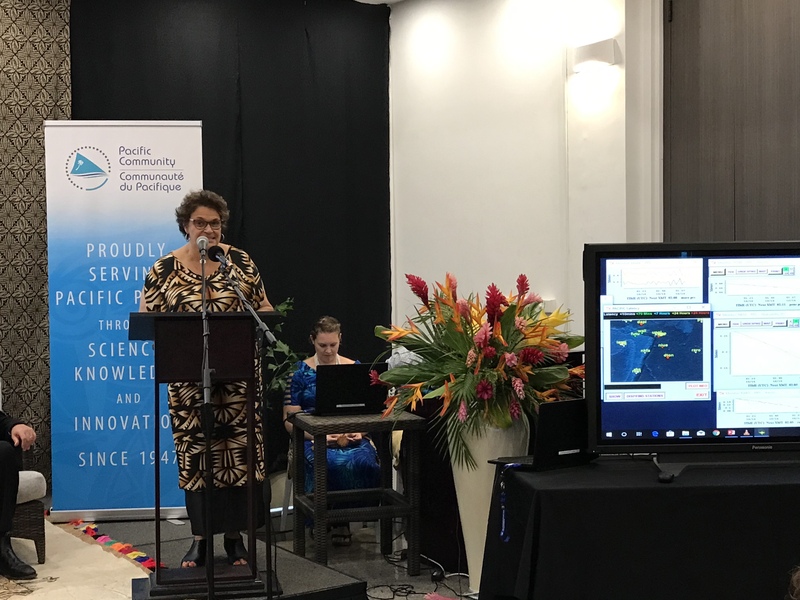 As with the new stations recently established in Niue and Tuvalu, it is the third in the region with an on-site Global Navigational Satellite System for monitoring movement of the station itself, relative to sea level. Mr. Fa’anunu also advises the public that the tide gauge station contains very sensitive equipment and should not be tampered with. The platforms supporting the equipment should not be used for fishing or mooring boats. 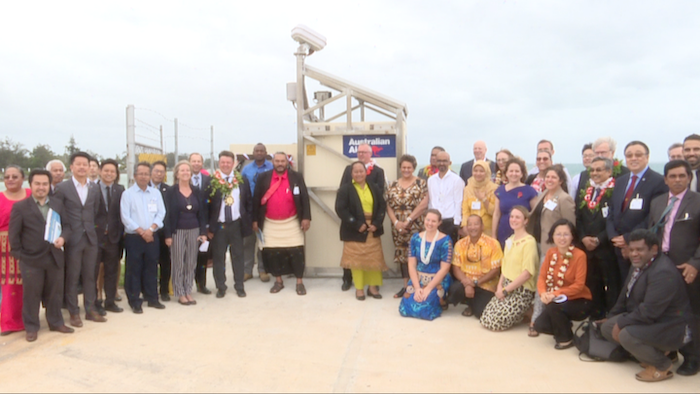 The installation was a team effort by technicians from the Australian Bureau of Meteorology, Geoscience Australia, the Pacific Community, the Ministry of Meteorology, Energy, Information, Disaster Management, Climate Change and Communications (MEIDECC), Ports Authority and local Tongan contractors. 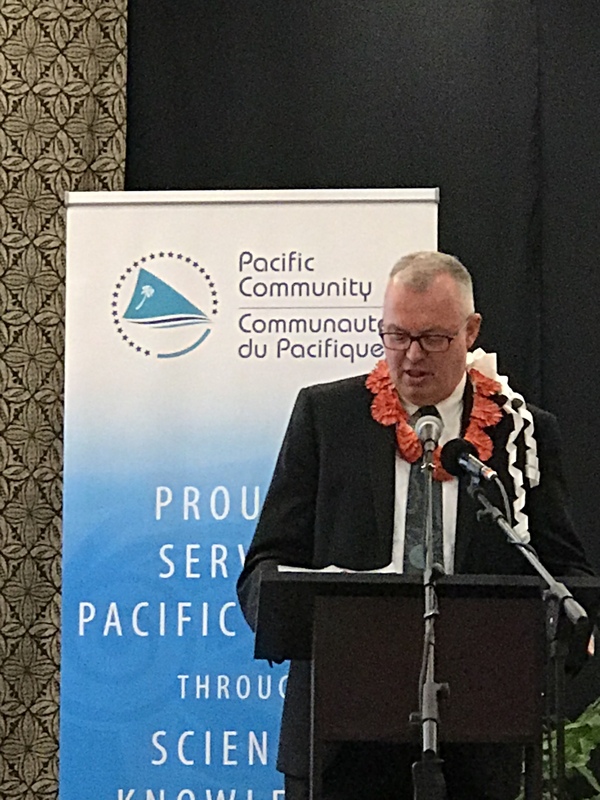 Since its inception in 2012, the Australian-funded climate and oceans support program has worked to build the capacity of Pacific Island Meteorological Services and other relevant agencies to understand and apply climate, ocean and sea level information for the benefit of island governments and communities. 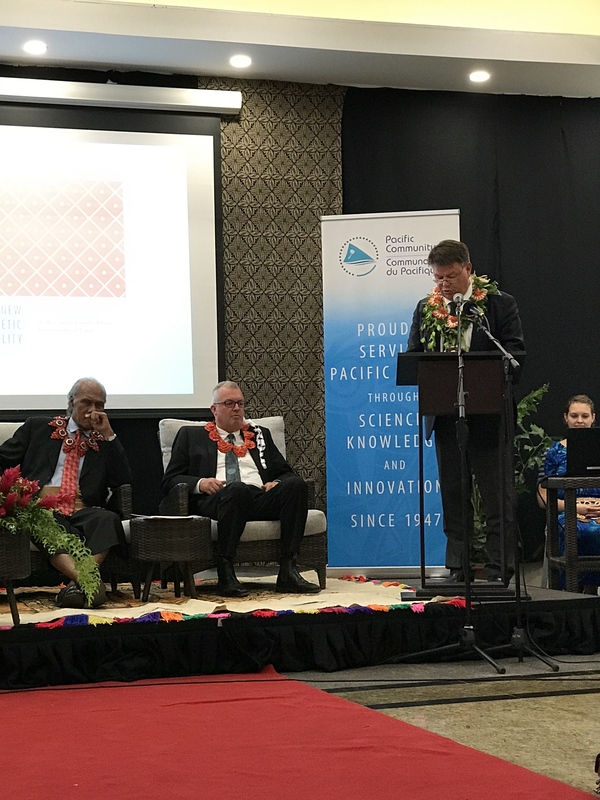 The programme is implemented in partnership by the Australian Bureau of Meteorology, Geoscience Australia, SPC, and the Secretariat of the Pacific Regional Environment Programme (SPREP).